What to look for when buying an Industrial Floor Scale? Pallet weighing floor scales (also referred to as "pallet scales" or "platform scales") are normally used to weigh things like pallets or other large objects you might find in a warehouse environment. This is basically how it works. Typically, standard floor scales are 4' x 4' (48" x 48") with maximum capacity of 5000 lbs, but are available in other sizes ranging from 3' x 3' up to 14' x 10' or larger with capacity range of around 1000 pounds up to 30,000 pounds. If you're looking for something smaller, a bench scale might be appropriate and if you are looking for something larger than that, a truck scale might be appropriate. Over the years the marketing behind choosing a floor scale system has evolved. In the old days you had to buy a floor scale system from one of the U.S. scale manufacturers like Cardinal Floorhugger or Rice Lake Roughdeck. However, in today's global economy there are several imported floor scales available that provide a pretty reliable and affordable choice for consumers. Examples include the Brecknell DSB series and the Transcell Guardian. Do you need NTEP legal for trade equipment? If you're only going to be using your scale every now and then or you don't need NTEP legal for trade approval or you're only going to be weighing really light pallets ocassionally, then maybe one of the super low priced internet floor scales would work out for you (we suggest something like this floor scale for economy) However, based on our years of experience (at this time we've been in business over 30 years) we think you're better off in the long run buying one of our QUALITY systems. Sure, it will probably be a little more expensive but we only try to sell QUALITY floor scales by brand name reputable scale manufacturers that you've probably heard of like Rice Lake, Pennsylvania, and Salter Brecknell, a division of Avery Weigh-Tronix. These are names that you can trust. So, how do I know which floor scale is best for me? First, find a model that meets your capacity and accuracy requirements. Then, look at the features required for your applications (both now and in the future) such as computer or barcode label printer interfacing capability, battery operation, remote display etc... Then most importantly contact a reputable scale company such as Central Carolina Scale. Because we've learned over the years what brands we trust and what brands that we generally stay away from. Some of these scales we see on the market these days don't even have a "brand". Who actually constructs them or for that matter who offers and fulfills the warranty? How is the scale built? Is the structure solid or will it deflect? To minimize deflection and stress under load, the scale’s structural supports should function in the same manner as I-beams; the scale’s deck plate acts as the compression flange and is connected by a vertical web to the bottom portion of the support that functions as a tension flange. An I-beam efficiently puts the material where it is most needed, in the top and bottom flanges. Scale structures should be designed with that principle in mind. Unfortuantely, many of the "internet specials" that you see on the web don't stack up to the Roughdeck. 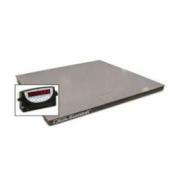 Low Cost or economy floor scales generally don't have a lot of options available. Ideally, you want to buy a floor scale that has NTEP approval and an optional ramp or pit frame. This way you can eventually have the choice of adding a ramp or putting your scale into the floor. An example of something like this would be the Digi Summit 3000 unit. 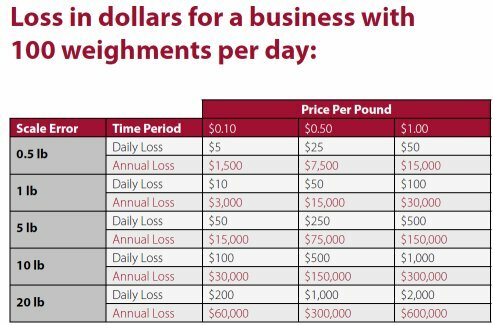 Scale Shipping Weight-- Most quality 4'x4' floor scales have a shipping weight of at least 275 lb. Anything less and you run the risk of the platform flexing, particularly when off-center or edge loading with concentrated loads. NTEP Approval -- Do you require NTEP* (legal for trade) approval? This is fairly standard, but there are a lot of low end platform systems beginning to flood the marketplace that are not NTEP approved. Why is NTEP approval important? NTEP approval is the process whereby weighing and measuring devices are examined by government officials to determine if the design and performance comply with the Weights and Measures requirements of the country in which the manufacturer wishes to market the device for commercial applications. The purpose of type evaluation is to examine the design, features, operating characteristics, and performance of weighing and measuring devices for compliance with Weights and Measures requirements. Such tests are performed on sample devices under laboratory conditions. Load Cell Cable Channel -- Most, if not all quality floor scales run the load cell cable through channels underneath the scale. This protects the cable. 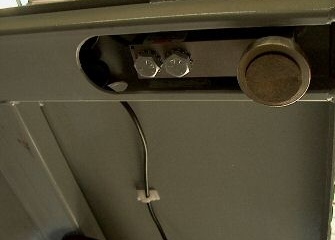 Lesser quality systems (like the one in the picture on the left) run the exposed cable under the scale using double sided tape or hooks, this could allow cable to drag under the scale and easily become ripped or cut. Digital Readout -- What type of digital readout do you need? The basic readout is usually made out of ABS plastic. The readout shows the weight display and usually 5 buttons (zero, net/gross, tare, print, units) and most include RS232 output. Better digital readouts usually are housed in a stainless steel enclosure and include the weight display, full keypad (ideal for typing in tare weights) & feature both battery and AC power. Load Cell Summing Boards -- The standard floor scale system sums all 4 load cells under the scale to the board in the junction box. This box includes a summing board which allows for adjusting each load cell to insure an accurate weight on each corner of the scale during calibration. For lower end systems, another way to lower the cost, is to run all the load cells to a board with no adjustment screws. Warranty -- Lower end systems have 1 year warranties (some have 90 day only warranties). 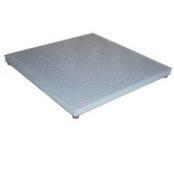 The higher quality floor scale systems usually have longer warranty periods, usually 2 to 5 years. Hopefully, after reading our page, you understand what things to look for when buying a floor scale system. There are A LOT of people out there trying to sell floor scales. We've been providing quality floor scales with digital readout to our customer's for over 30 years. We don't try to deceive or trick anyone. We simply try to provide you with as top notch of a scale system as possible for your dollar. Our experience has shown time and time again, in the long run you are much better off purchasing a quality system that is well built and serviceable.